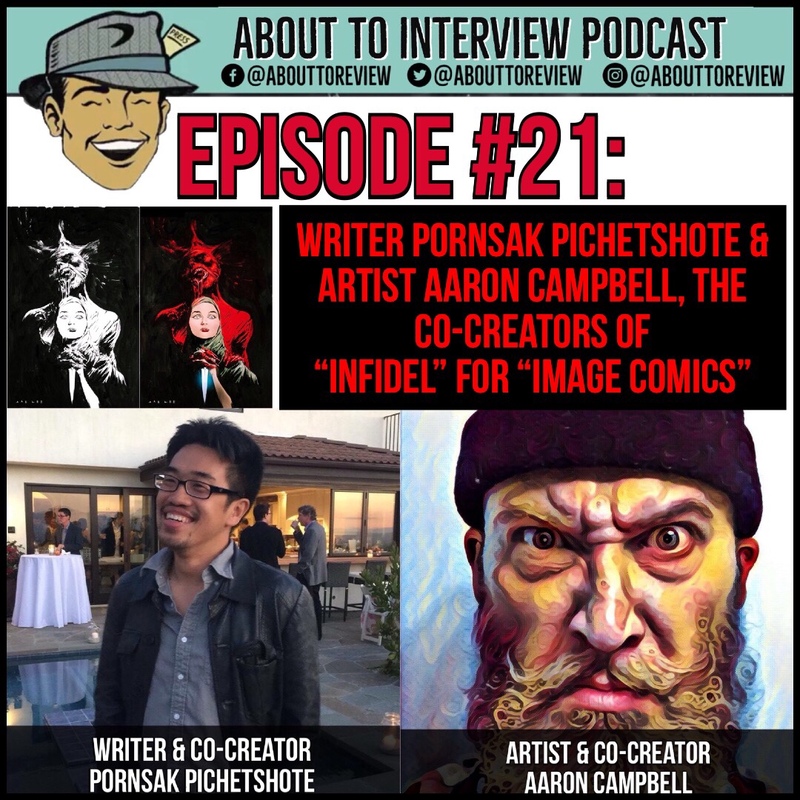 This episode of “About To Review”/ “About To Interview” features my conversation with two members of the creative of the new comic book series “Infidel” from Image Comics; writer Pornsak Pichetshote and artist Aaron Campbell! Our conversation goes everywhere from their first conversations about the book, their childhood fears, and so much more. “Infidel” is a 5 issue limited series that, as Pornsak describes it: “Is about a muslim woman living in an apartment complex that is haunted by ghosts who feed off of xenophobia”. If that is not enough to get you to buy the book, I do not know what else will! Pornsak and Aaron have amazing talents and this was truly an incredible collaborative effort to bring this book to life along with Jose Villarrubia and many others. 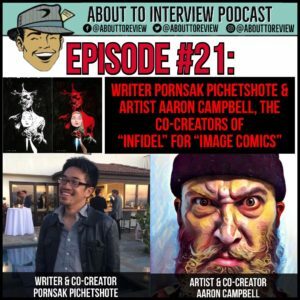 Thank you so much to Pornsak Pichetshote and Aaron Campbell for making the time to talk with me about their incredible book.